Newlin Township municipal offices: PO Box 447, Unionville PA 19375; 19382; phone: 610-486-1141. Newlin Township [†], established in 1840, was named for Nathaniel Newlin who at one time owned the entire township. Newlin Township comprises approximately 12 square miles. It is predominantly rural and characterized by undulating terrain and stream valleys. Newlin"s zoning uses a performance-based system for managing the density and intensity of growth. The presence of preservation areas, significant ongoing agricultural uses, and development constraints consisting of steep slopes, wet soils, floodplain areas, and sensitive environmental features have limited residential development at densities much higher than one unit to the acre in many portions of Newlin Township. The village of Embreeville is a prominent community feature in Newlin Township. 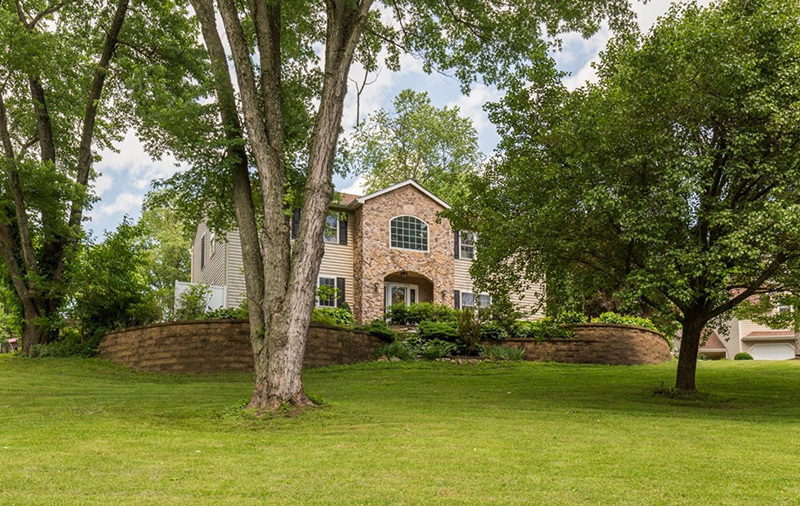 A tributary of the West Branch of the Brandywine Creek in Newlin Township and has been designated as an Exceptional Value stream. Many streams in Newlin Township have Cold Water Fishery as a designated special protection. Located in Newlin Township, the Unionville Serpentine Barrens is an Eastern Serpentine Barrens natural community This is a mid-size barrens of approximately 170 acres. He was granted a 7,100 acre tract along the West Branch of the Brandywine in 1724 and quickly began selling off parcels. In 1725 and again in 1726 the Lenape visited the Pennsylvania Assembly to complain that Newlin was selling the land they had been granted and denying them the right to use it. Newlin appeared before the Assembly and promised to leave the Lenape in peace but then continued to sell off parcels. Within a few years most of the Lenni Lenape left the Unionville Area for wilder lands in western Pennsylvania. Indian Hannah, the last of the Lenni-Lenape in Chester County, finished her days in the Chester County Poor House in Embreeville. She died there in 1802 and was buried nearby. A memorial plaque marking her birthplace is located along Route 52 just north of Route 1, and a stone marks what is believed to be her grave off Route 162 in Embreeville. The Embreeville Historic District is situated on the east and west banks of the West Branch Brandywine Creek in Newlin Township. Its 12 principal buildings are clustered in two groups and separated by the river, which makes a dramatic bend at this location. Route 162 parallels the river, and like it, twists and turns through the rolling countryside. † Unionville Area Regional Comprehensive Plan, 2011, www.newlintownship.org, accessed October, 2018.